Attorney General Gordon J. MacDonald and New Hampshire State Police Colonel Christopher J. Wagner announce that there is an on-going investigation into two deaths in Haverhill. This incident is being investigated by the Attorney General’s Office in conjunction with the State Police Major Crime Unit. 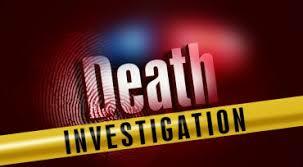 The location of the deaths is being withheld at this time pending notification of next of kin. As this is an unfolding investigation, additional information will be provided as soon as possible. At this junction, there is no evidence to suggest that there is any threat of harm to the general public.